The Gilded Lily Home is a family-owned gift shop located in historic downtown Wenatchee. The very first store was originally opened out of a passion for specialty antiques as "The Gilded Lily". With a storefront available a few doors down, the sister store "The Gilded Lily Home" was opened in 2000 offering an expansion of specialty gifts, decor and accessories for your home. We are proud to embark upon our 17th year with having expanded our departments in baby clothing and gifts, gourmet foods and a wide variety of women's accessories and jewelry. We find great delight in sharing our passion for unique gifts and home decor and hope to extend that to you as well. From all of us at The Gilded Lily Home, we hope you’ll share in our joy to celebrate all of life’s moments with intentionality and flavor. The historic building that The Gilded Lily now calls home was originally built in 1908. The Olympia Hotel building boasts quite an interesting past including—of course—the Olympia Hotel in the upper two floors, a drug store and pharmacy, and even a silent movie theater inside which had live piano accompaniment. 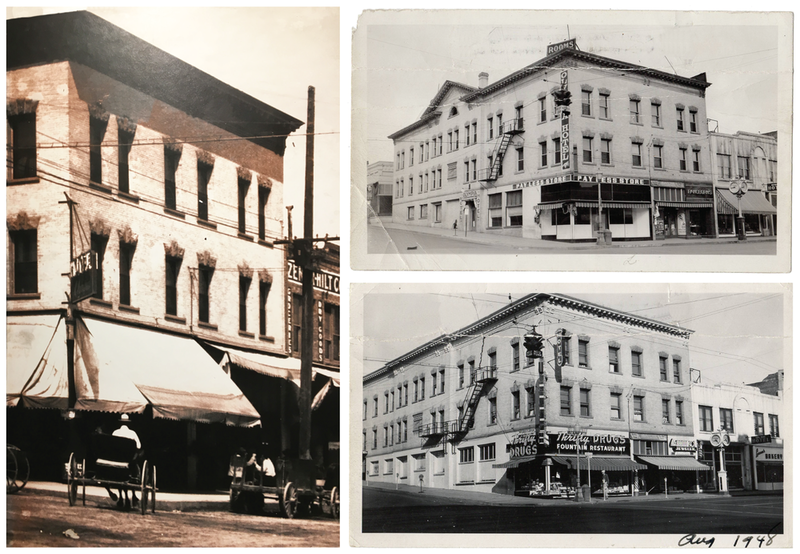 We love seeing the rich history of downtown Wenatchee and how it has evolved over the years.